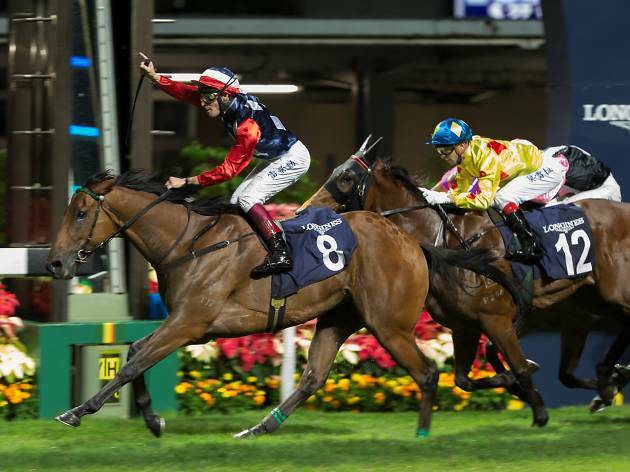 Get into the game and join the world’s top jockeys as they battle it out at Happy Valley Racecourse for the Longines International Jockeys’ Championship! Mark your calendars for December 7 and celebrate this epic tussle with your friends and fellow racegoers on Happy Wednesday. There’s no better way to get into the championship spirit than having some fun and drinks down at the Beer Garden. Join Happy Wednesday this December and enjoy an evening of exciting attractions, performances and giveaways that you surely don’t want to miss out. 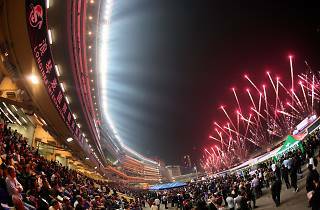 From a stunning pyrotechnic display for the championship opening ceremony, a live musical performance from popular Australian singer Jimmy Cupples to mouth-watering food from the International Food Fair, you’ll be entertained all night long. 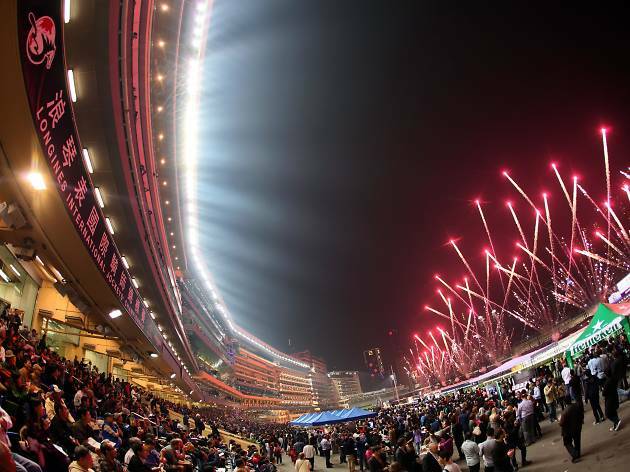 At the event you can vote for your favourite international jockey where you’ll have a chance to win a Samsung 55 inch SUHD Quantum Dot TV or a special edition event jacket and cap to commemorate your great night at Happy Valley Racecourse. What are you waiting for? 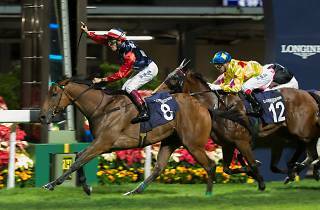 For more information on Happy Wednesdays, visit happywednesday.hkjc.com. For bookings at Adrenaline, call 1817. Racecourse entrants must be aged 18 or above. Please don’t gamble your life away.